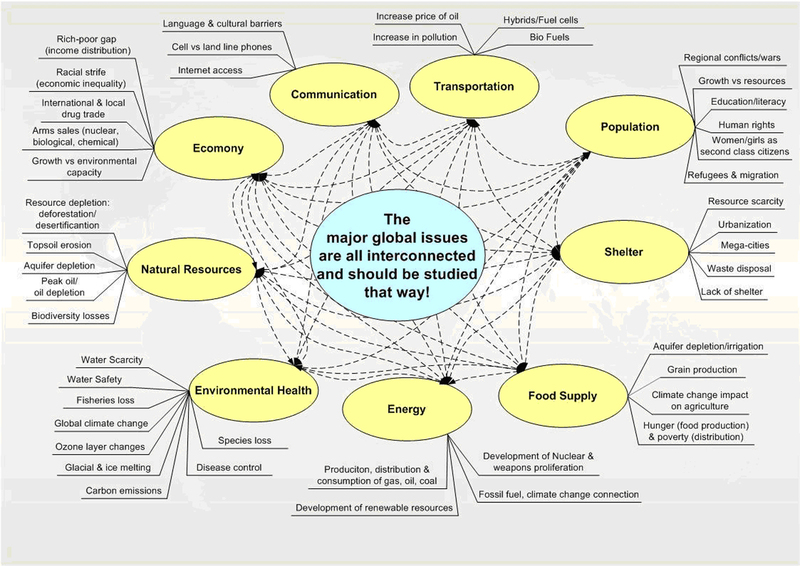 In GENI's years in existence (1989-present), it has become ever more obvious that our major global issues are interrelated, interconnected and must be approached in that light. While GENI and the GENI Initiative have been about linking renewable resources via an interconnected global grid, the ultimate purpose is to ensure a sustainable, quality lifestyle for all of humanity. Below are selected global issues and challenges that relate directly to the GENI Initiative.